HOLLYWOOD ACTOR BILL Bill Paxton, best known for his roles in such blockbusters as Apollo 13 and Titanic, has died at the age of 61. The Texas-born actor was a familiar face on US movie screens, with a string of memorable credits to his name from a career spanning several decades. 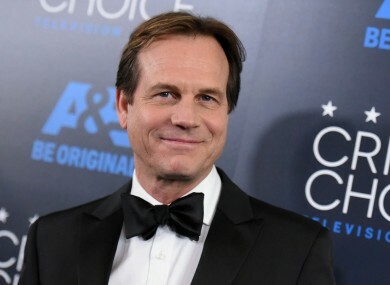 “It is with heavy hearts we share the news that Bill Paxton has passed away due to complications from surgery,” said a statement from a family representative. One of Paxton’s earliest character roles was as a thug in the 1984 The Terminator, and he left a mark as the ill-fated Private Hudson in the 1986 sci-fi thriller Aliens. Paxton played the part of Fred Haise, one of the astronauts of the Apollo 13 lunar mission in the 1995 drama of the same name, while in the 1997 Titanic he was the treasure hunter who led an obsessive search for the sunken ship. “A loving husband and father, Bill began his career in Hollywood working on films in the art department and went on to have an illustrious career spanning four decades as a beloved and prolific actor and filmmaker,” the family statement said. Bill’s passion for the arts was felt by all who knew him, and his warmth and tireless energy were undeniable. We ask to please respect the family’s wish for privacy as they mourn the loss of their adored husband and father. Paxton appeared well earlier this month, presenting an award at the NAACP Image Awards in California. He also presented a People’s Choice Award with Training Day co-star Justin Cornwell last month. Email “Titanic, Twister and Aliens actor Bill Paxton has died at the age of 61”. Feedback on “Titanic, Twister and Aliens actor Bill Paxton has died at the age of 61”.